I wanted something small, quiet, and powerful. This fit the bill. Benchmarks were good even compared to the threadripper machines we have running at work. I barely hear the machine running right next to me (unless I am running a very graphic-intensive game in which case I hear the GPU fan spin up). I threw out the Corsair fan and used two NF-F12s with max 1500 RPM in push-pull arrangement. Things fit fine in this little case. I don't think I needed the flat short cable set so could have saved myself the $26. 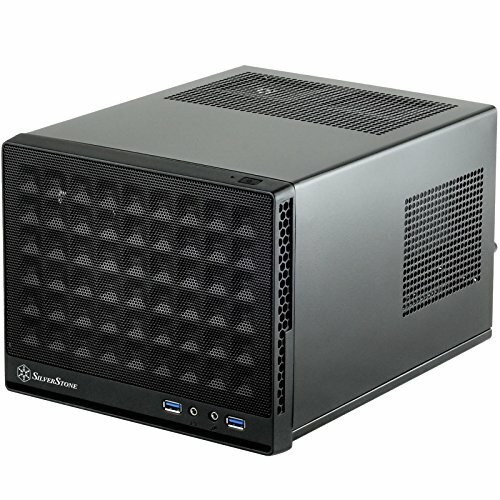 Probably also could have gotten away with an ATX modular power supply but that would have started to be much more of a squeeze. The SX-700 LPT is awesome. Very quiet and small. I wired the fans to the CPU fan control header, and the pump to the SYS fan header. 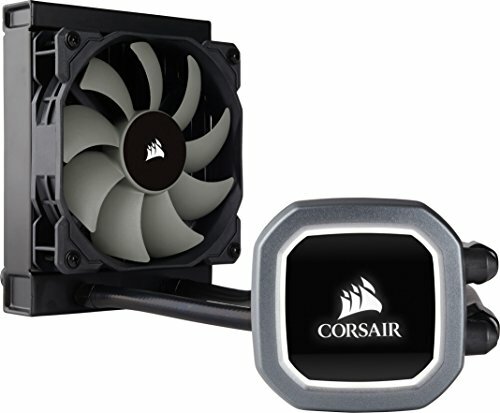 This is opposite what Corsair recommended but I learned that Corsair only recommends hooking up the pump to the CPU fan header so that motherboard logic will detect a bad pump (the most likely failure scenario). I used the AMD Vega 56 because I have a monitor that supports FreeSync and wanted a graphics adapter that would support that feature while giving good performance at high res. Temps are good. MSI Command Center shows it keeping the CPU at ~45 degC idle. Under load running prime95 for 10 minutes, the CPU reached 77 degC, then dropped off to ~70 degC after 15min. 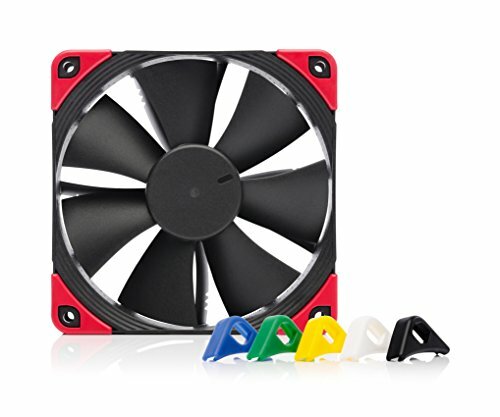 The cooling system seems sized reasonably well - the fans reach their max speed of 1500 RPM after about 5 minutes under full load with CPUs at 3.9 GHz, then dropped off to a steady 1350 RPM. Probably most of this thermal drop is occurring from the junction to the cooling plate since I think in this test it is running close to it's max design spec. I loaded the main HDD with Ubuntu 18.04. 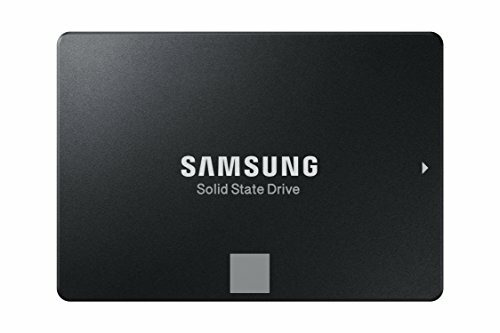 The second (SATA) HDD has Windows. I like having Windows and Ubuntu on totally separate physical drives (not partitions on the same physical drive). Just make sure before installing Windows that the drive is set up with a GPT partitioning table. I forgot and had issues getting Windows set up properly for UEFI booting. Had to stop, switch to GPT using gparted, and restart the installation process. Graphics performance is good. Tested with Doom running in Windows. Getting well over 60 FPS with FreeSync on 3440x1400 resolution. GPU fan gets pretty loud when this is happening though, and GPU temps rail out at 85 degC, and clock speed flat-lined around 1190MHz. In 1920x1080, was getting >90 FPS and running around 80C max with the fan much lower and clock speed around 1350 MHz. Probably could have gone with a larger graphics card. Didn't need the nano. A longer one would have fit. This build works well, but if I could start over, I would probably try something like Forgot10 did here: https://pcpartpicker.com/b/zJ29TW I love how he used a dual-fan graphics card with a large heat-pipe-based heat sink and reworked it with low-noise Noctua fans. Also I would have preferred a heat-pipe-based CPU cooler like he used. Effective and zero failure rate. Good job Forgot10. Tested with Doom running in Windows. Getting well over 60 FPS with FreeSync on 3440x1400 resolution. GPU fan gets pretty loud when this is happening though, and GPU temps rail out at 85 degC, and clock speed flat-lined around 1190MHz. In 1920x1080, was getting >90 FPS and running around 80C max with the fan much lower and clock speed around 1350 MHz. Switched to DisplayPort cable since I saw I needed that to get FreeSync. Tested again and the fan speed was higher but still around the same frame rates. Very well done, one of the nicest Sugo builds on the site! Really wish there was a Vega 64 nano. But it’s tdp makes that a dream and only a dream.